Embark on a two-day expedition to Machu Picchu. 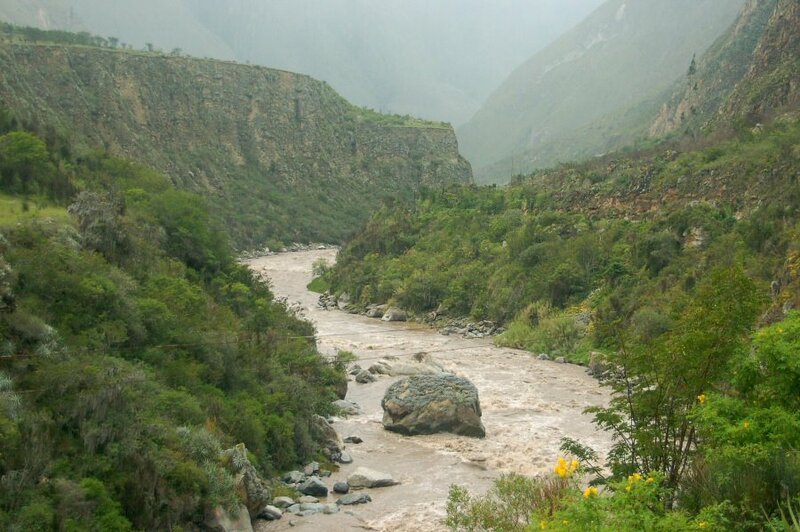 Ride aboard the VistaDome train through the lush Urubamba Valley passing through stunning scenery. 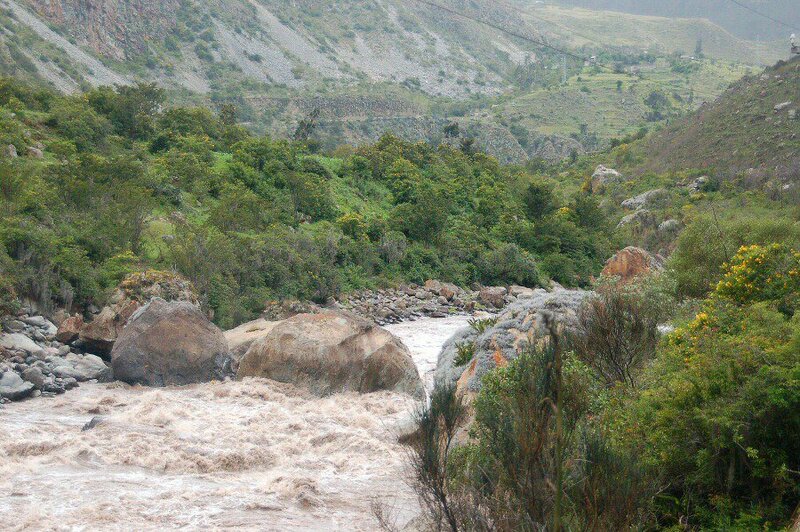 Arrive at “The Lost City of the Incas” rediscovered in 1911. The beauty of its location and the genius construction make Machu Picchu the jewel of all Inca settlements. 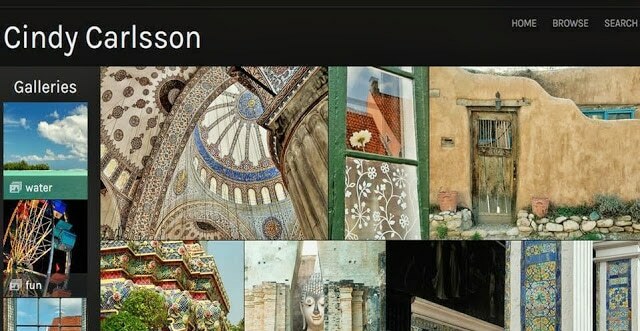 An expert leads you through the ruins to absorb the mystery and beauty of this amazing site. While most visitors leave Machu Picchu in the afternoon you’ll stay in the area overnight. Some of our group revolted yesterday when Lucho told us we would have a 5:30 a.m. wake-up call. 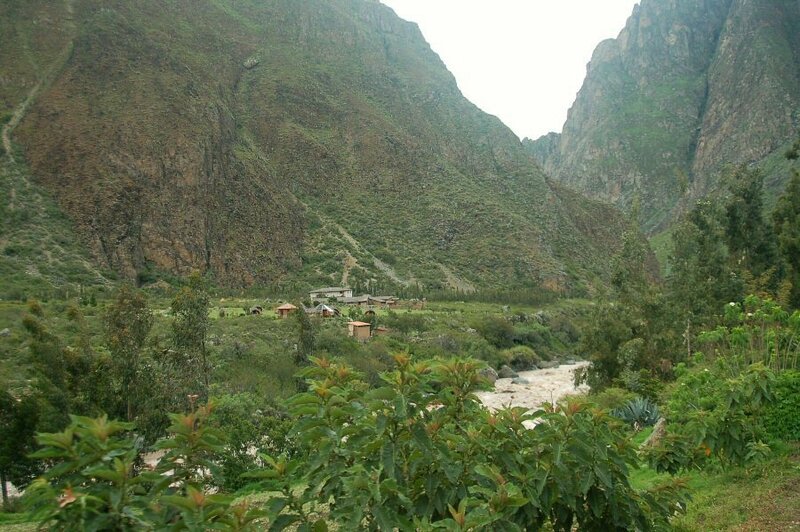 He spent the rest of the day reorganizing our travel, so today we start our journey by bus, with plans to catch the train farther down the road at the village of Ollantaytambo. Despite the later departure time, now people are complaining because they won’t get the same view they would have had from the train. Poor Lucho is now busy assuring us that we will see the same things from the bus. The journey to and through the Pisque River Valley is fascinating and beautiful and we make a couple of stops so we can soak in a bit of the scenery. Ollantaytambo is a charming town, but we simply travel through it on our way to the train station. 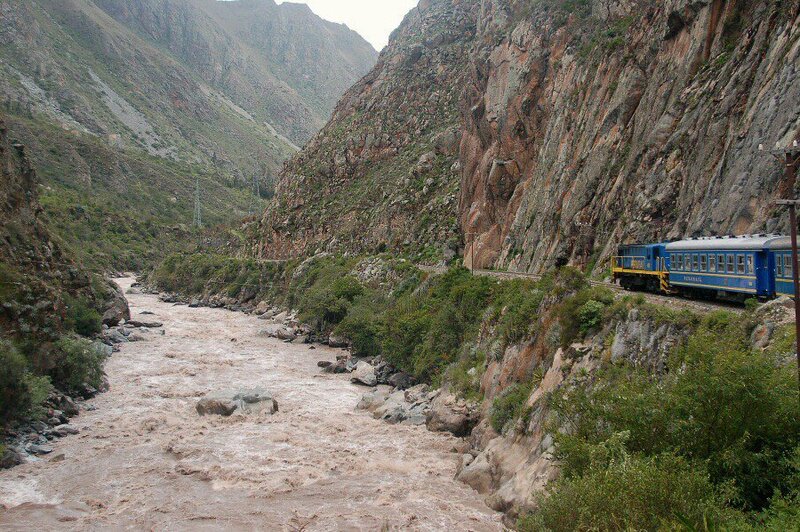 And then we board the train to follow the Urubamba River through the mountains. All along the way our friend marvels over the river and that fact that it appears impossible to raft. Both the river and the surrounding landscape are stunning.